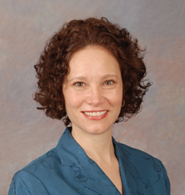 Dr. Alison Moon founded First Coast Dermatology Associates in 2003. Since that time the practice has experienced tremendous growth. Most of this growth has been driven by word of mouth from highly satisfied patients who have benefited from Dr. Moon’s uniformly high quality and compassionate care. Dr. Moon attended Wright State University School of Medicine in Dayton, Ohio where she graduated first in her class. She is a member of Alpha Omega Alpha medical honor society and as a board-certified dermatologist holds Fellow status in the American Academy of Dermatology. Dr. Moon obtained her residency dermatology training at the Mayo Clinic in Jacksonville and she currently serves as an adjunct faculty member of the Mayo Clinic Dermatology Residency Program in Jacksonville. Dr. Moon takes great pride in providing only the highest quality dermatologic care including treatment of skin cancer, acne and all other dermatologic conditions. She also offers cosmetic dermatology services including the latest laser technology for skin rejuvenation.